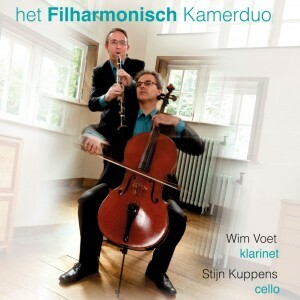 The first CD of the Filharmonisch Kamerduo is a fact ! It is with pride that I can announce that our first duo CD is realized. This CD is a sample of a diverse repertoire arranged for the ensemble all over the past eight years. Besides works by Johann David Heinichen and Ludwig Van Beethoven, you’ll also find compositions from Mike Curtis and Astor Piazzolla and Belgian compositions from Pieter Schuermans and Koen Severens. Each piece is an unpublished arrangement for the unique combination of clarinet and cello recorded at the little church of Millegem near Ranst. You can simply buy this CD by transferring 20 Euros (postage included) to the account number BE46 9731 2582 8636 of the Filharmonisch Kamerduo mentioning your name and address.